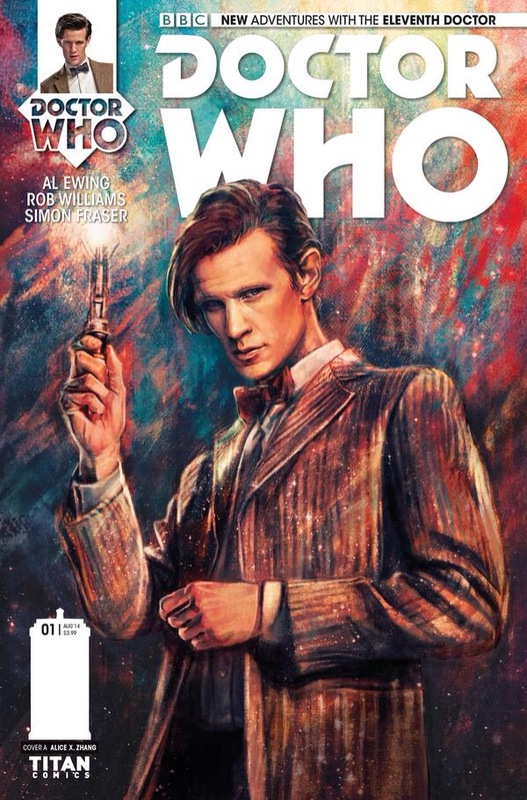 Warning: May contain light spoilers, but trust me, nothing major, yet…. 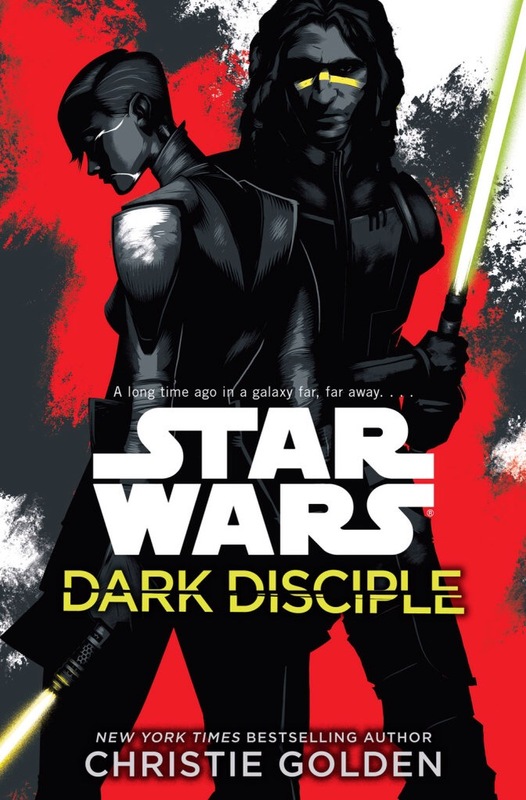 Who are all these new characters and what is their role in the Star Wars saga? 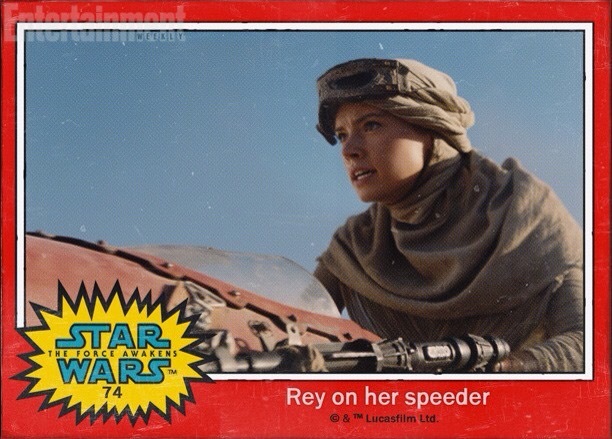 This has been a big question since the names were revealed through the trading cards, especially Rey and Finn, who did not have last names. The Force Awakens reveals a bit about who each of these characters are, but does this, for me, in an unexpected, but satisfying way. 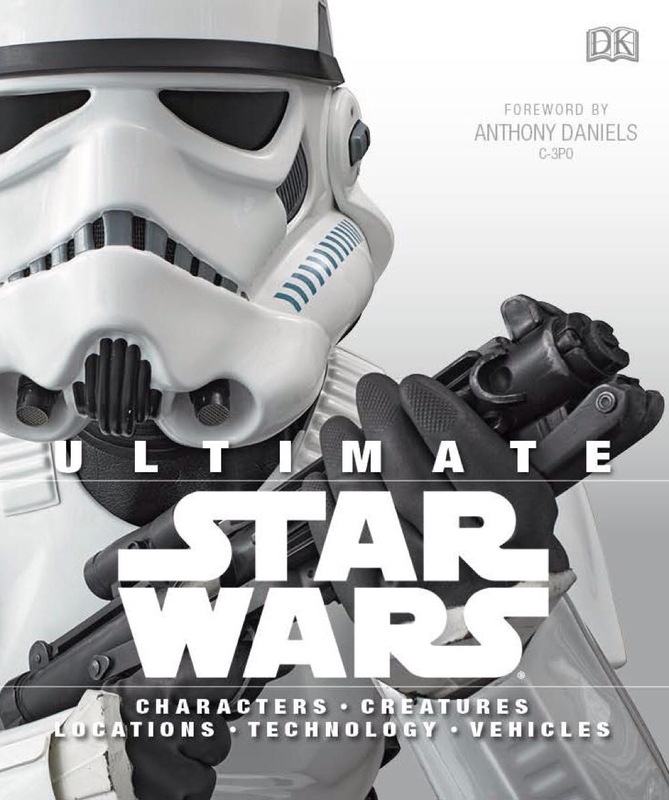 This film also leaves room to reveal more about their pasts and of course their role in the entire Star Wars saga. I will need to watch the movie again, a few more times, before I dive deep into each of these characters. 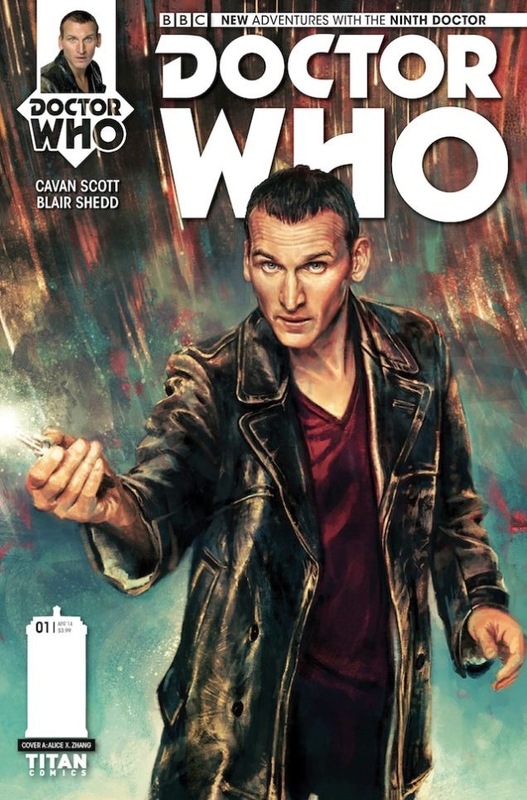 Ever since the release of the official posters, there were many, like me, that asked this question. I thought that this was a marketing decision on Lucasfilm’s or Disney’s part to increase the hype. 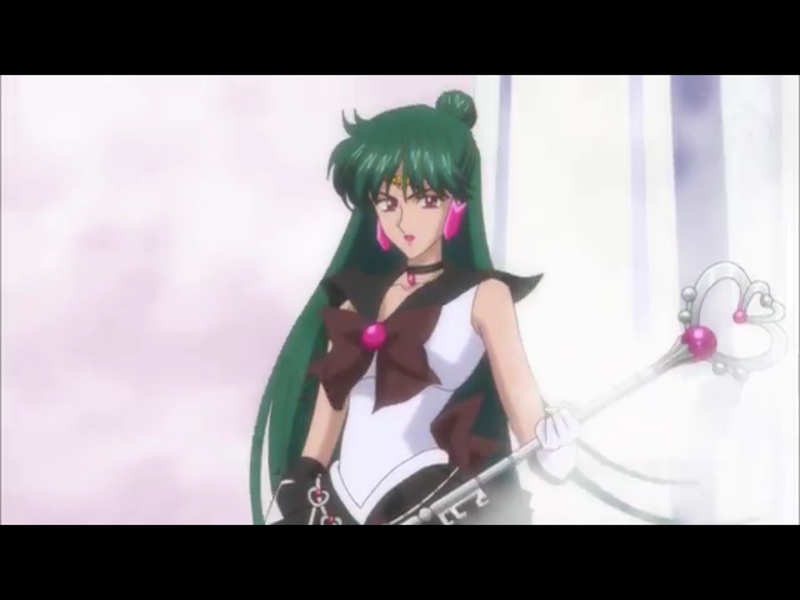 However, this is actually a plot point in the movie that carries all the characters in the story forward. This is the question asked by my friends at Fangirls Going Rogue. Supreme Commander Snoke, Leader of The First Order, can be seen and heard during the film, but I really do not believe we get enough about who or what this character really is. 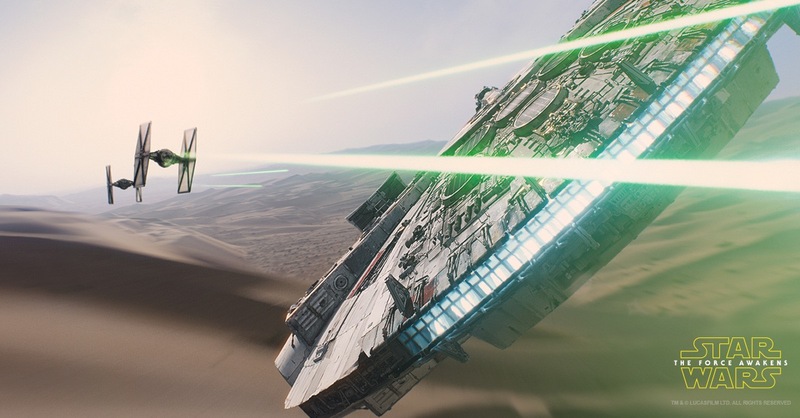 Hopefully, Star Wars Episode VIII will reveal more. What happened to Han and Leia after Return of The Jedi? When I heard confirmation that these characters were to appear in the film, this is one of the biggest questions I had. I like many others believe they lived ‘happily ever after’ after the Battle of Endor. The Force Awakens not only shows us what happened to them, but it is for me, one of the most emotional arcs of the entire film. 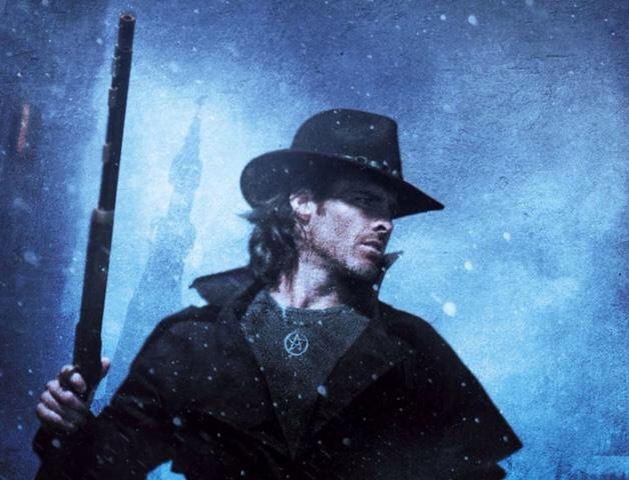 What were your questions going into the film? As you can see, I have my ticket to see Star Wars The Force Awakens this afternoon! #FangirlFlail!!! This Everyday Fangirl is very excited to see this new movie and will be posting my spoiler free thoughts and feelings right after I see it today. 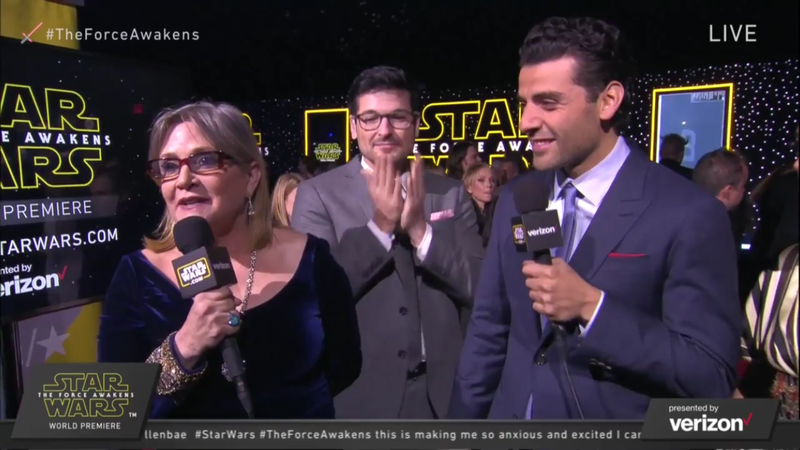 Yesterday was the World Premiere of Star Wars The Force Awakens! 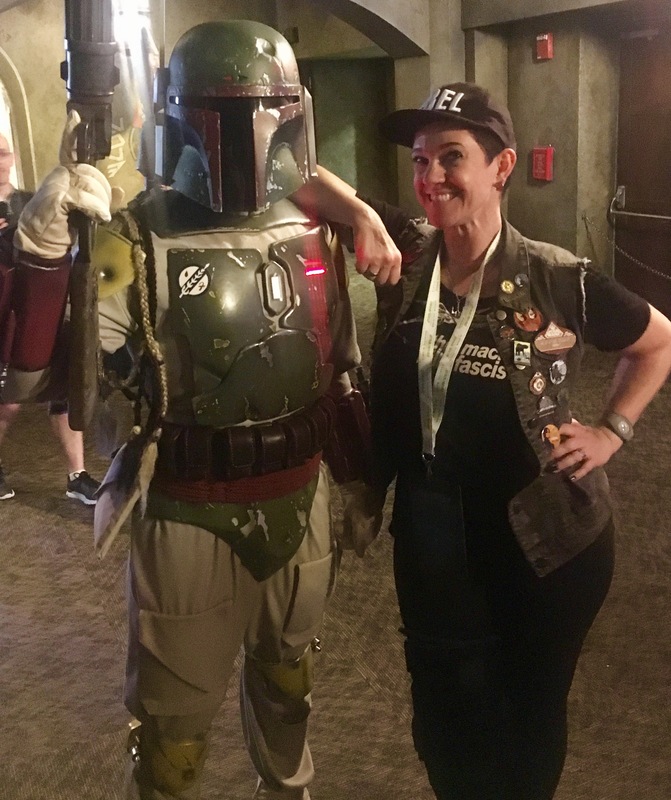 This red carpet event was a star studded with lots of glamour, glitz and, of course, lots of Star Wars music and characters! 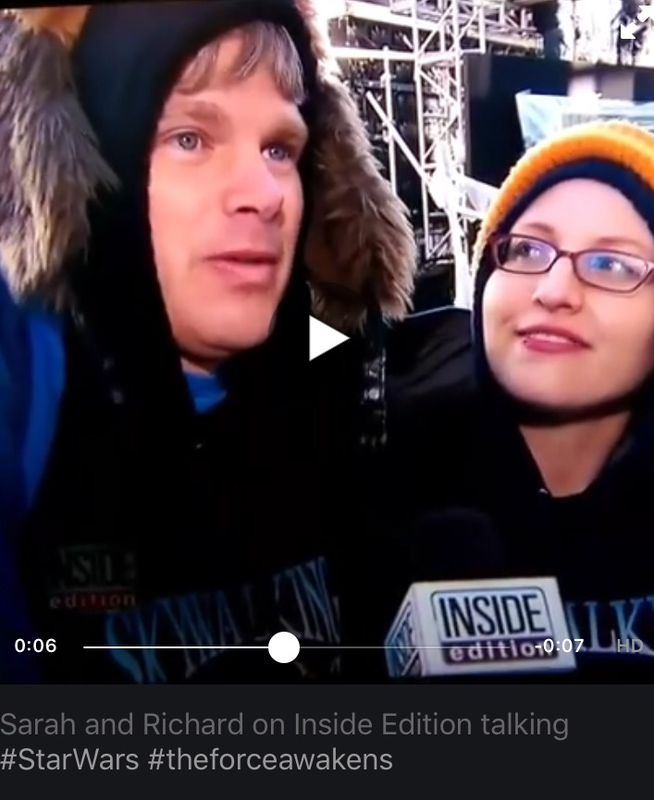 I was not able to attend the premiere myself, but 2 of my friends, Richard and Sarah Woloski were not only there, but were interviewed by several news outlets as well! 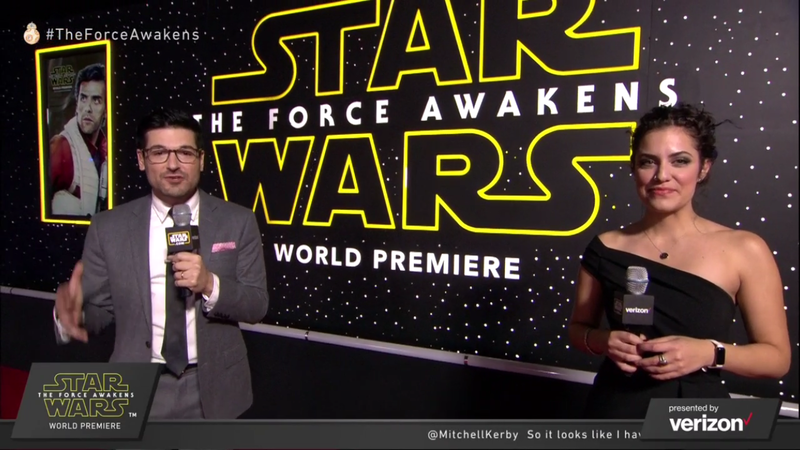 In addition, this premiere was streamed live via StarWars.com and I was able to watch part of this. Not only was it fun to watch, but loved seeing all the stars in their finery and hearing the interviews! 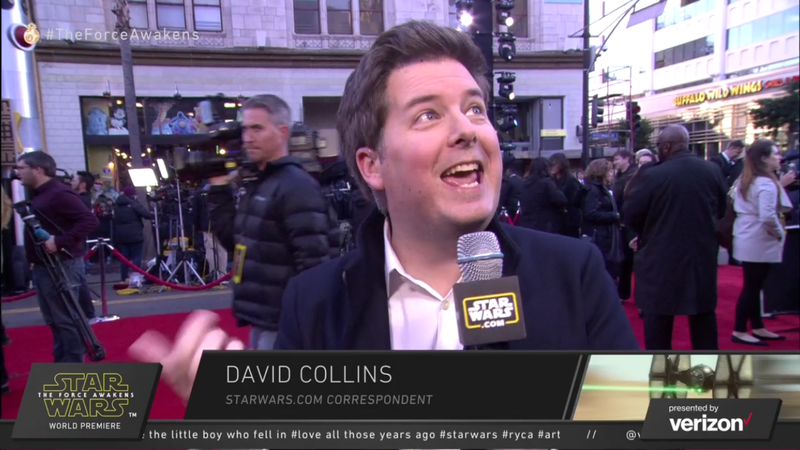 David Collins being so excited about seeing this movie and being there on the social media stage! 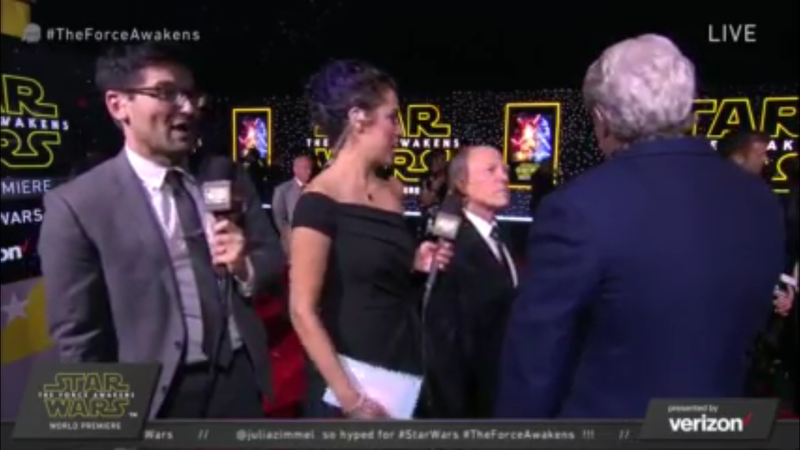 Spotting George Lucas, since I was not sure he would be attending! 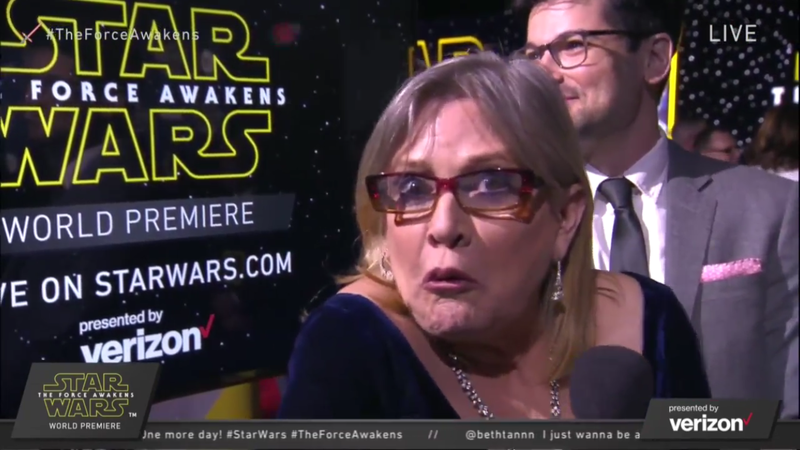 Carrie Fisher with a microphone doing an interview! This was towards the end of the red carpet event and is well worth watching again! She is amazing, funny and an inspiration! 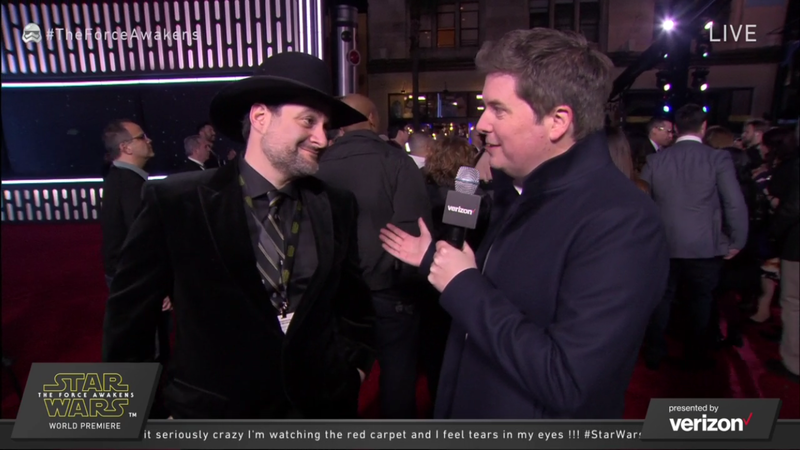 And of course David Collins interviewing fanboy and executive producer of Star Wars Rebels, Dave Filoni! It is a privilege to see two fanboys geeking out about my favorite topics just like I would! 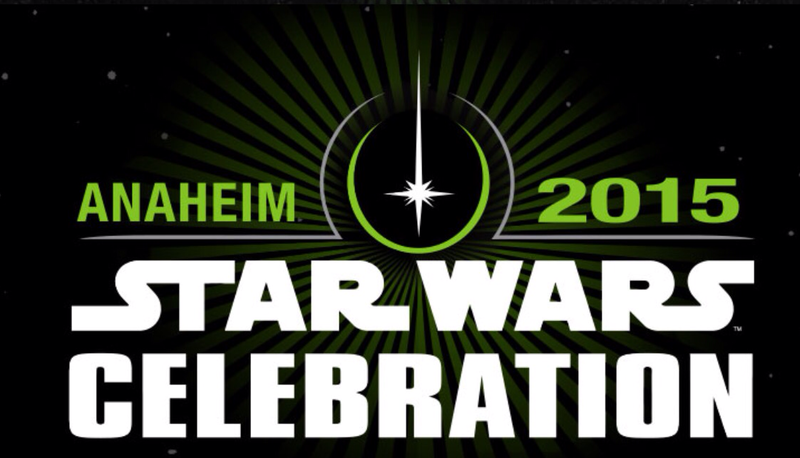 The entire broadcast is now available to view via the StarWars YouTube channel! 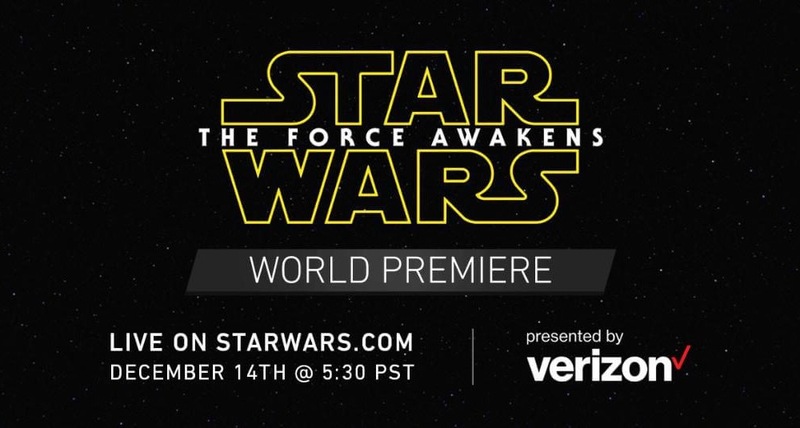 Well today is the world premiere of Star Wars The Force Awakens in Los Angeles. 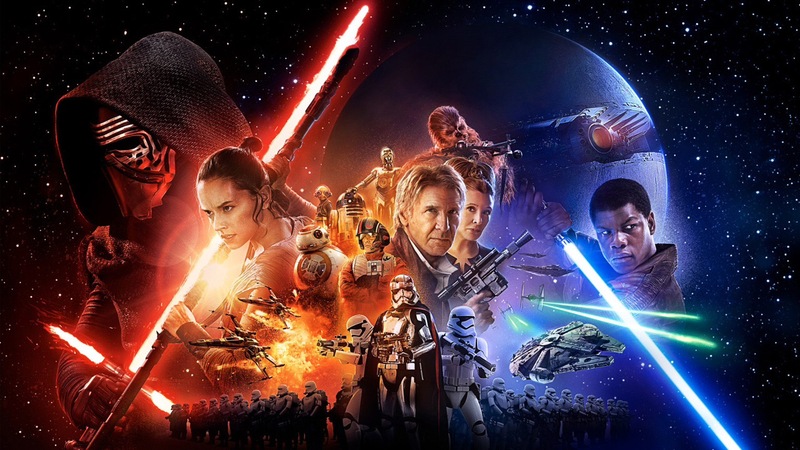 This launches Star Wars The Force Awakens week! #FangirlFlail! Therefore, no surprise, most of the posts this week will be about this topic. 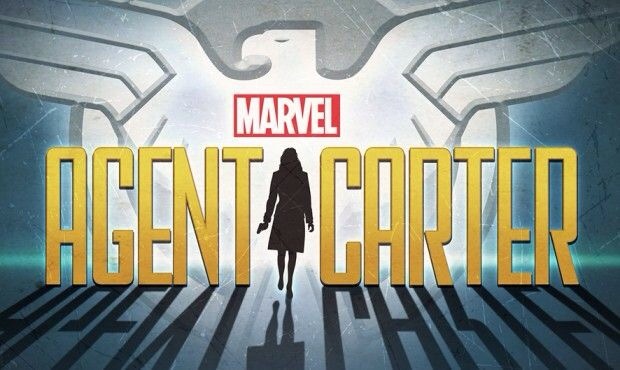 I will also be posting about this topic on TheCantinaCast.net! 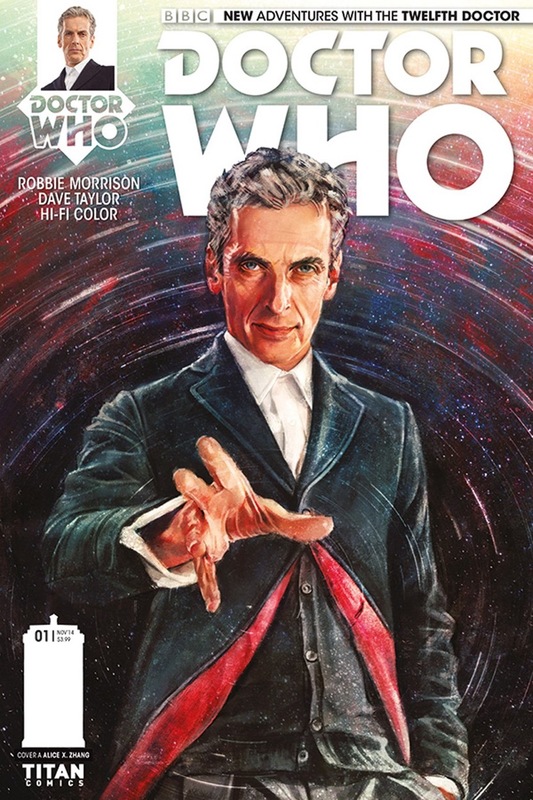 Like many, I vow to do what I can to not blog about spoilers, at least until after the holidays. However, if I do, then I will post a warning. Even though I will not be at red carpet event, I will watching this via a live stream hosted by Andi Gutierrez, Anthony Carboni, and my online friend, David Collins. This is an exciting time and I cannot wait to share my thoughts and feelings with all of The Adventures of the Everyday Fangirl readers. week and May The Force Be With You, Always! 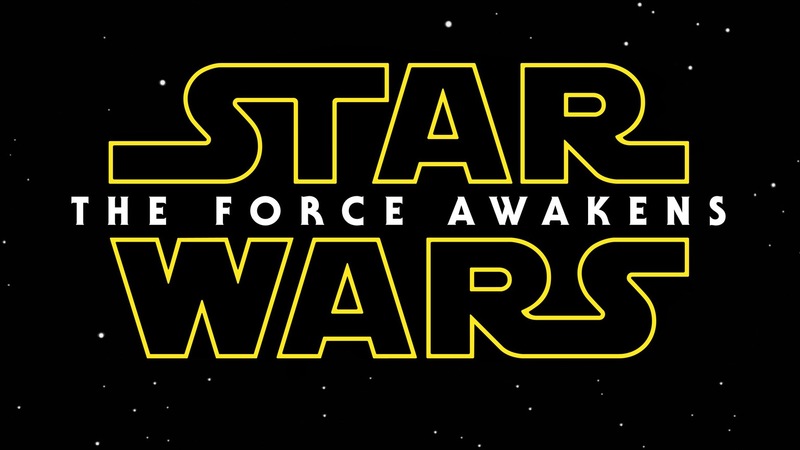 Were you wondering who the new characters from Star Wars ‘The Force Awakens’ teaser trailer are? 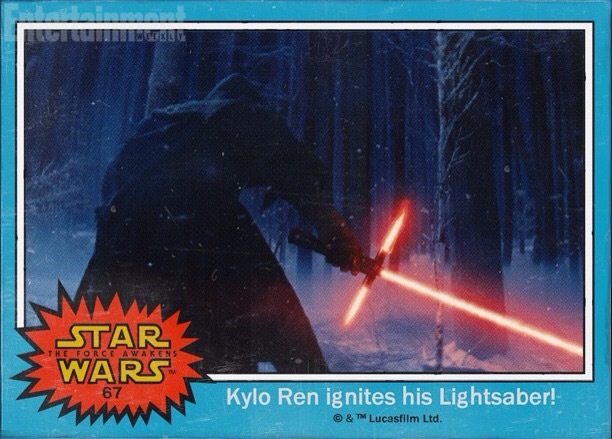 Well we are one step closer to finding out because today the character names from the teaser trailer were revealed on trading cards via EW.com. So for those that want to know below are the trading cards and my thoughts on each in order of appearance in the trailer. 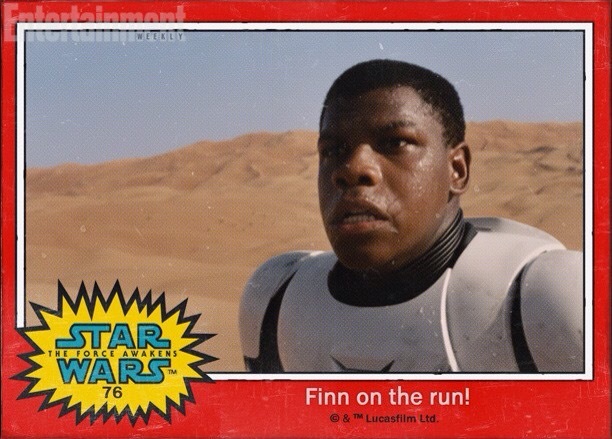 Is Finn a first name, last name or some sort of code name? Just who or what is he running from anyways? 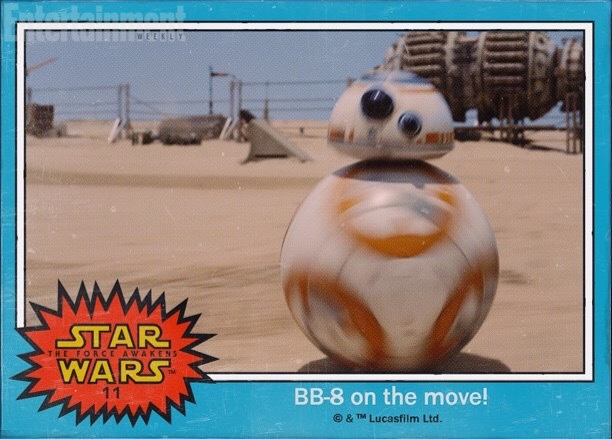 Yeah, the rolling ball droid gets a cool sounding name! My only complaint is that when I hear BB, I think BB Gun. So I am hoping that BB stands for something really cool. Now like, Finn, I wonder if it is a first name, a last name or a code name. However, no matter what it is the name “Rey” puts me in mind of sunshine and light. 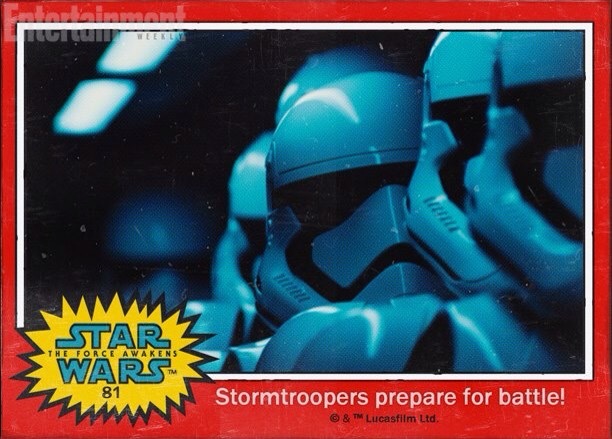 Yeah, Stormtroopers! However, are these troopers from the 501st or not? That is the bigger question. 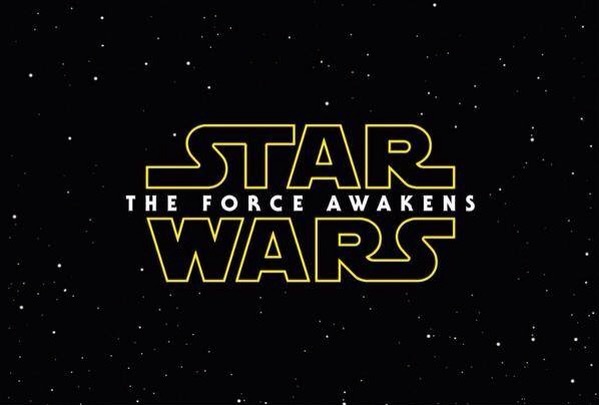 The first of ‘The Force Awakens’ characters in the teaser trailer to be revealed with a FULL name. 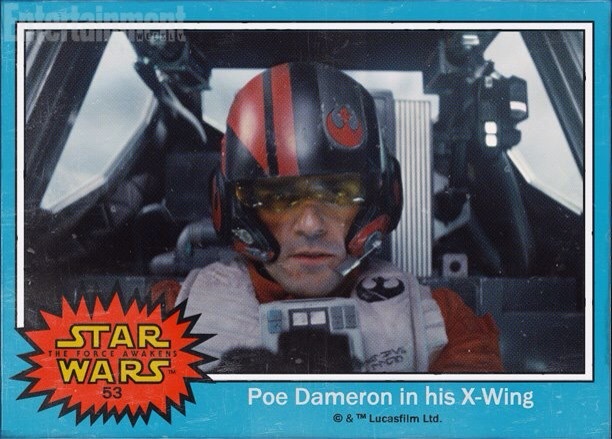 However, this does not really sound like a Star Wars name based on all those name generators out there! Guess they will have to start adding more possible names to those generators now, huh? 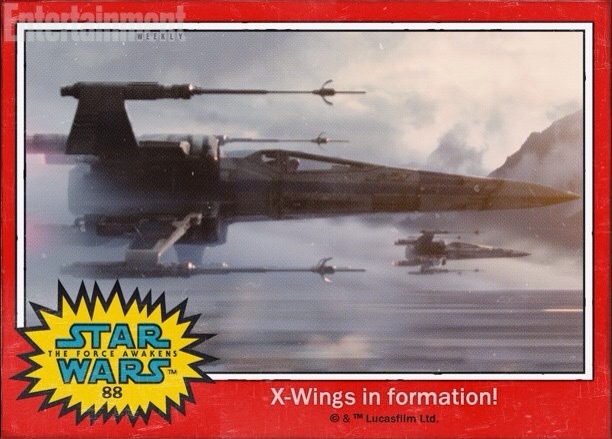 I have to admit, I love the look of these X-Wings in formation over the water. Do you? Another Star Wars name that does not quite fit the universe as we have known it before, especially for someone associated with the ‘Dark Side’. What no Darth Kylo, Darth Ren? or even Count Kylo Ren? 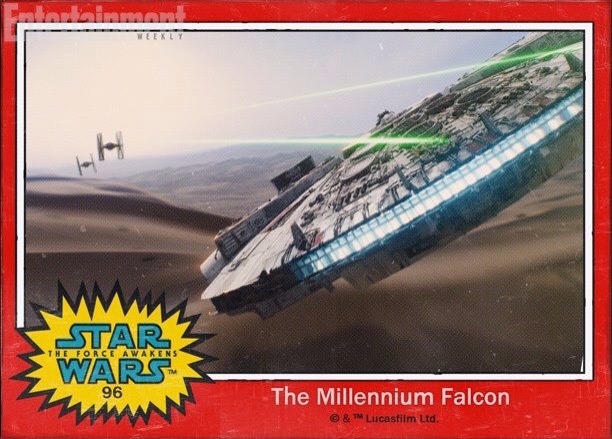 We have confirmation that this IS The Millennium Falcon representing the ‘Light Side’, just in case anyone was in doubt, right? 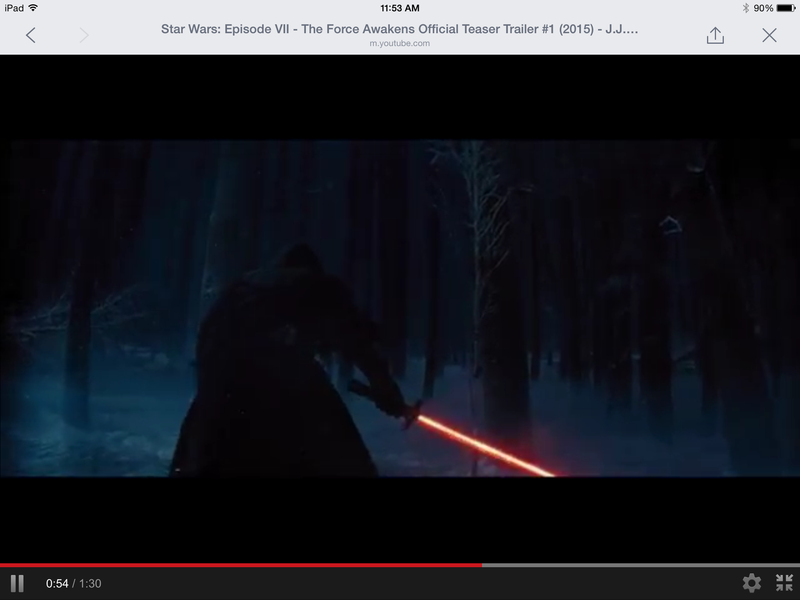 In a previous post, I mentioned that I was anxiously awaiting the release of the teaser trailer when they announced the official title of Star Wars Episode VII, ‘The Force Awakens’. 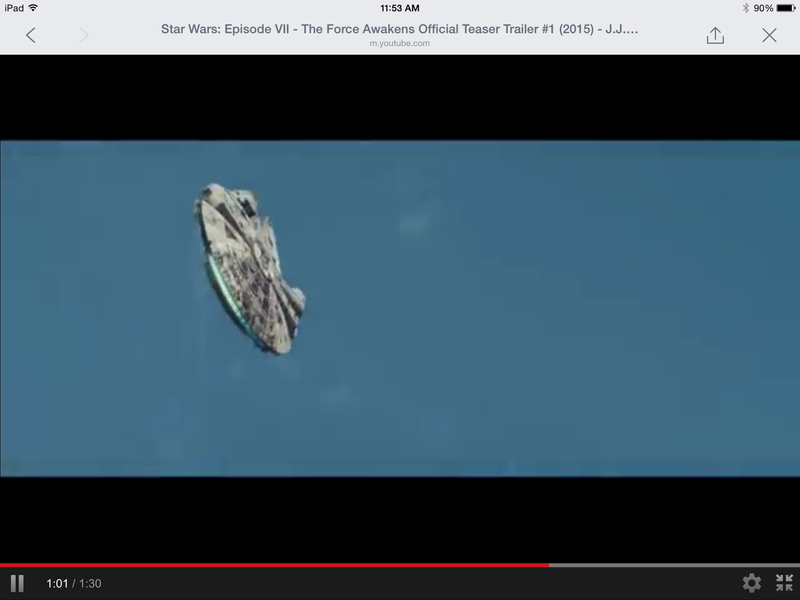 Happily the wait was not really as long as I thought it would be because on Monday, 11/24/2014, StarWars.com announced the official release of an 88 second teaser trailer to be shown in select theaters on the Friday after Thanksgiving, 11/27/2014. Unfortunately, only one theater in the state is scheduled to show this trailer and it is not one that I would go to. 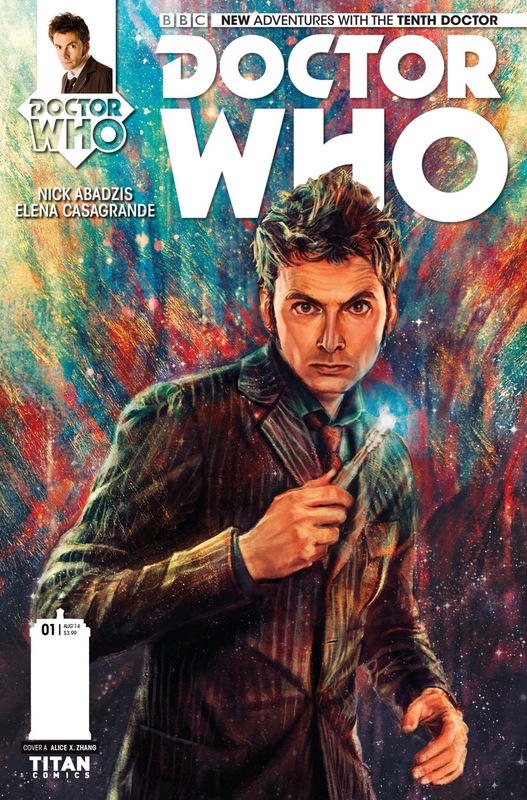 Therefore, this left me a bit bummed that I would have to wait even longer to see it. 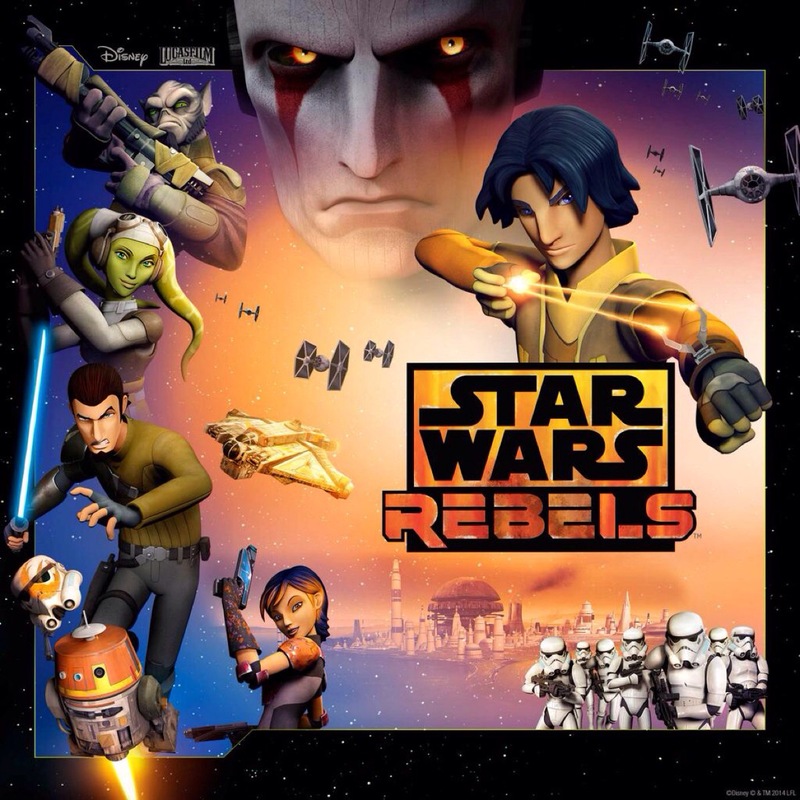 My moaning increased when my younger brother told me that he has already seen that teaser trailer earlier in the week as part of a sneak peek promotion that took place in Downtown Disney at Walt Disney World in Florida. Fortunately Disney must have heard my moan of disappointment because the official Star Wars Twitter Account announced that this teaser trailer will be available to view online the same day through iTunes Trailers. 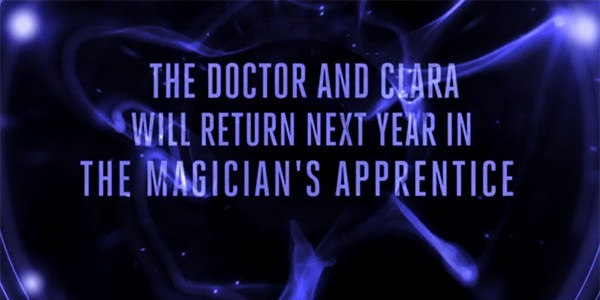 Everyday Fangirl flailing right now in joy! 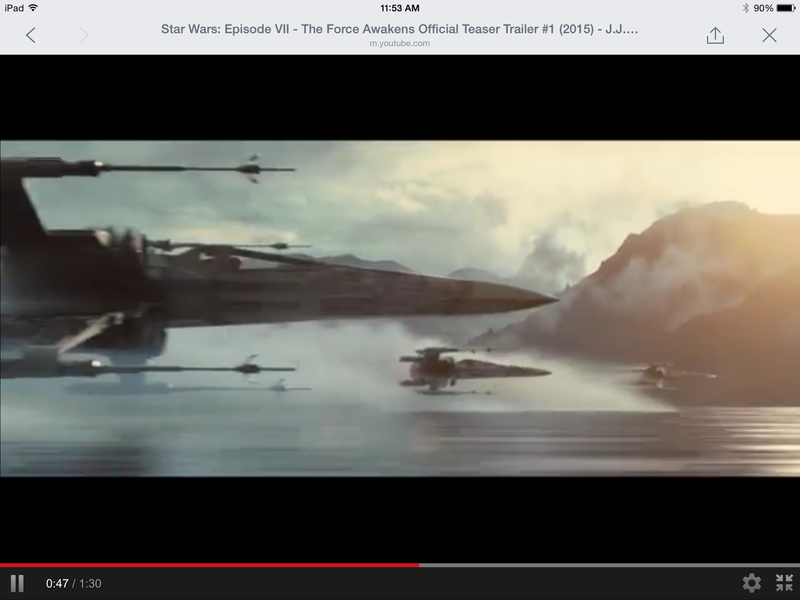 In the meantime, check out i09’s look back at the history of Star Wars teaser trailers! 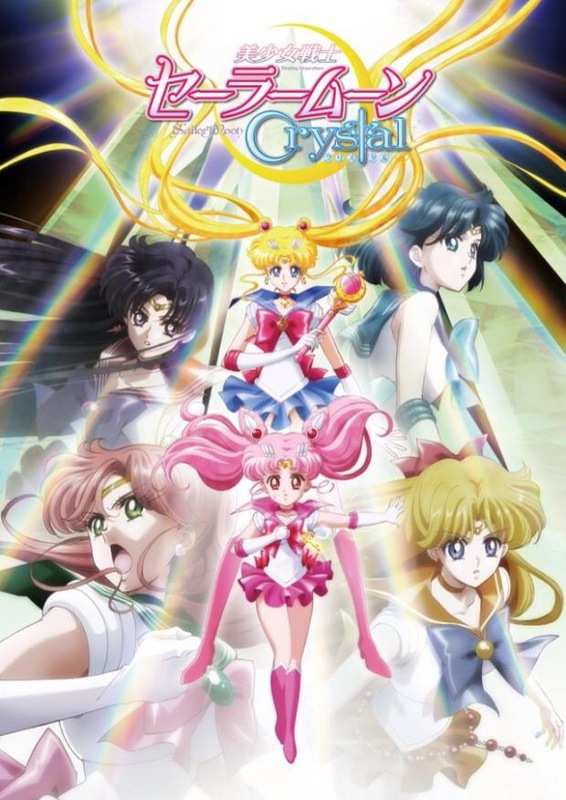 UPDATE: The trailer has been officially released as of 10:15AM EST and a good link to it can be found here! Look at the cool pics that I captured from the trailer! So did you go to a theater in your area to see the trailer or did you watch it online like me?